SOLD BY :Silver Leaf Tea Pvt. Ltd. Enjoy fabulous Kashmiri Kahwa Green Tea and get our Assorted Tea Bags Sampler Pack at an Amazing Price. With our Assorted Collection Sampler Pack you get to try out and enjoy all our Awesome Tea Flavours! What's more! 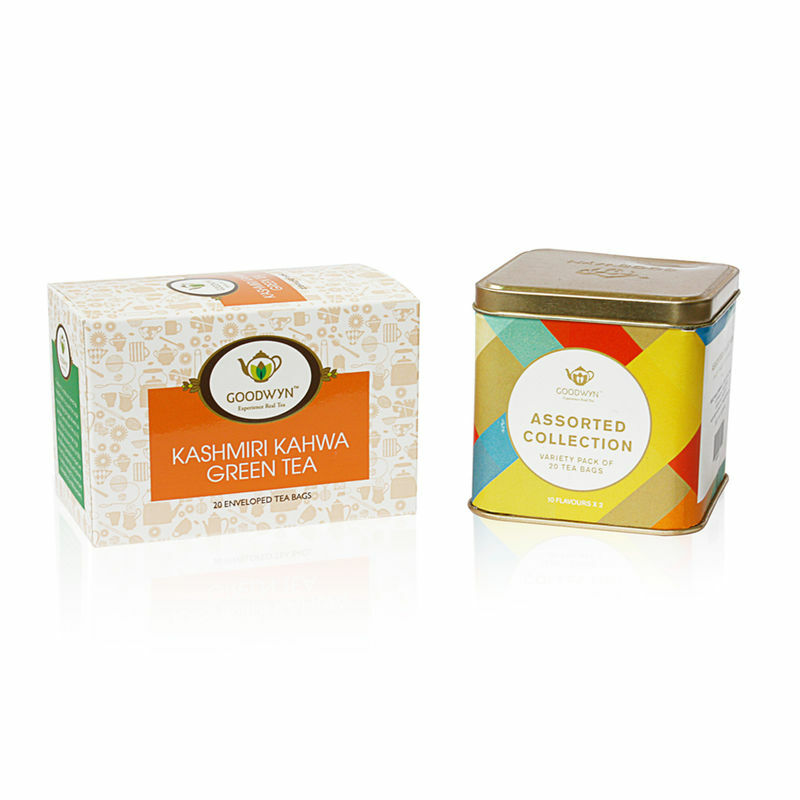 You can buy Kashmiri kahwa Green Tea for yourself and Gift our Assorted Collection Sampler Pack to a friend! Explore the entire range of Green Tea available on Nykaa. Shop more Goodwyn products here.You can browse through the complete world of Goodwyn Green Tea .